By law, the professional services provided are limited to patients of Waratah Private Hospital. IVF prescriptions may be dispensed by this pharmacy under special exemption. 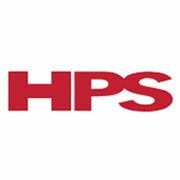 Rate and review HPS Pharmacies - Waratah in Hurstville, New South Wales, Australia! Share your experiences at HPS Pharmacies - Waratah with your friends or discover more Cosmetics in Hurstville, New South Wales, Australia.